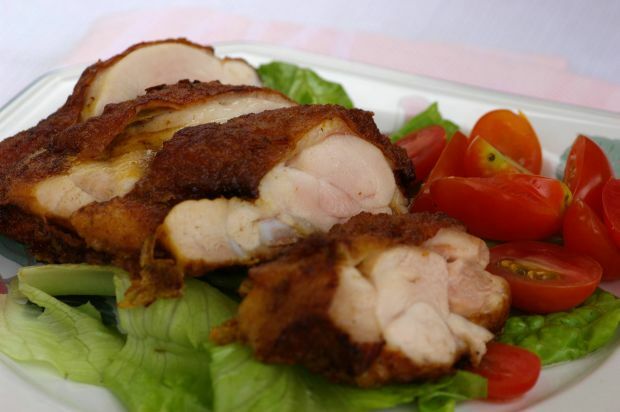 Season chicken chop pieces with marinade (A) for several hours or preferably overnight in the refrigerator. Heat oil in a wok and dip marinated chicken chops into egg white and coat with combined mixture (C). Deep-fry in hot oil on medium heat. Dish out when cooked through. Re-fry chops over high heat to crisp the skin for 50-60 seconds or until golden brown. Remove and drain oil. Cut chops into serving slices. For the salad, toss together.